While I don’t know the specific medical facts in Easterling’s case, it is clear that Easterling himself believed that his neurologic decline was caused by concussions he suffered during his NFL career. Easterling was one of the seven former players who sued the league, claiming that the NFL concealed a link between football and brain injuries. It was the first of many similar lawsuits filed against the league. 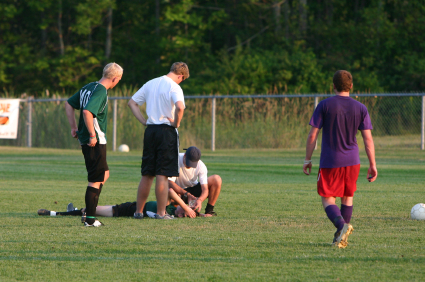 Sports-related brain injuries can occur in many contact and collision sports other than football. I think most of us recognize some of the common symptoms of concussions, such as headaches, dizziness, and nausea. Now sports neurologists are starting to discover the cumulative effects of concussions. Dr. Edwards points to the two main long-term dangers – dementia and depression. 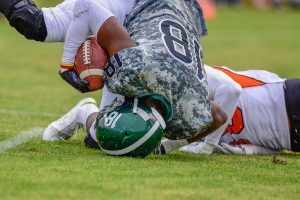 Edwards argues that we have to do a better job of preventing what he calls “low-threshold concussions.” These are serious brain injuries that result from notably minor blows to the head, when the brain of the concussed athlete has yet to return to normal. I cannot emphasize enough to athletes and parents that we must learn from this story and the findings of Dr. Edwards and his team. Players have to tell their parents about any mood changes. As team physicians, athletic trainers, and coaches, we also have a responsibility to ask players and their families if their personalities are normal or have returned to normal. Edwards suggests that one person might be the most capable of recognizing that there is a problem – more than the other family members or even the athletes themselves. Their mothers. “Moms just know when their kids are different.” Tweet this quote. Note: A modified version on this post appears in the April 26, 2012 issue of The Post and Courier.